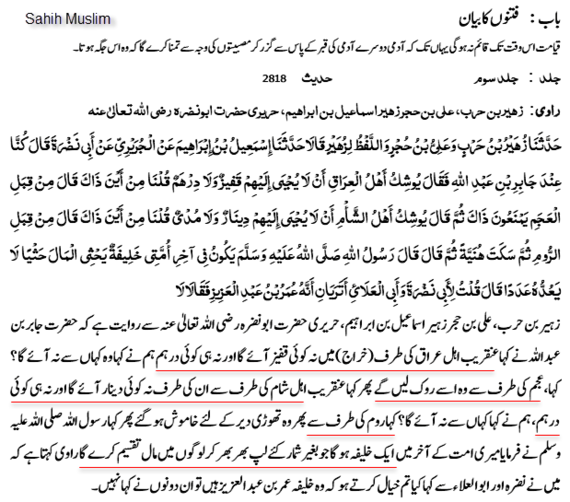 See the wording shows clearly that Prophet Mohd (PBUH) talking about Judgement day, that it will establish only on the worst of human being and there is no guided one except Isa (AS), because in other Hadiths it’s narrated that Imam Mahdi will stay on earth after His emergence 7 or 9 years and towards the end Isa (AS) will descend. That’s why it’s said that there is no guided one except Isa (AS) before judgement day, as it’s mentioned in Quran, that Isa (AS), is one of the signs of the judgement day. In this, it clearly stated as mentioned before, that Isa (AS) is one of the signs of the judgement day, with this Hadith, the previous Hadith becomes clear. 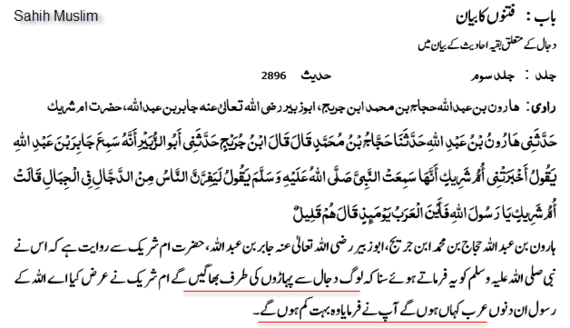 If you read in the writings of Mirza Sahib, he said that “Dabat-ul-Ard” is some sort of insect which he related with plague. This show his mental capacity of understanding. 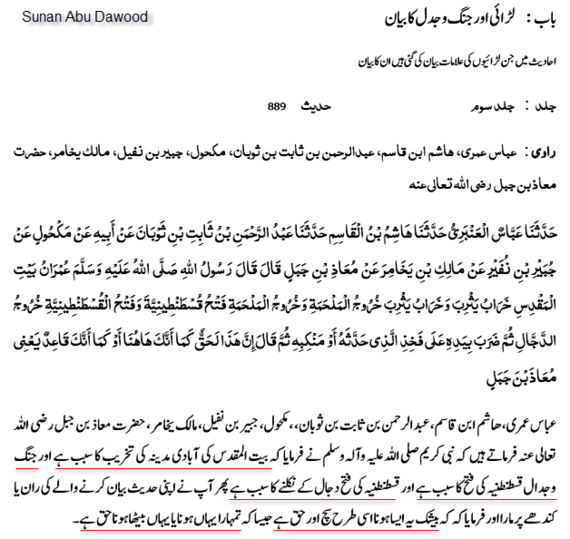 Did Mirza Sahib was just and fair ruler of his time ? In fact he was slave to British Government, and wrote letters to Queen to show how much he love and care and what all not. 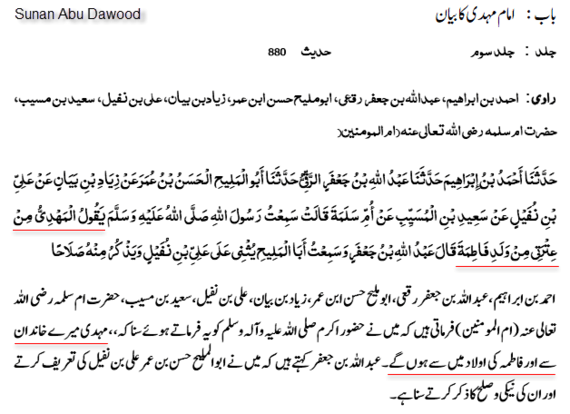 Also did Mirza Sahib distributed wealth ? In fact he took wealth from people both worldly and Iman. Here did anyone with black banner came to help Mirza Sahib ?. 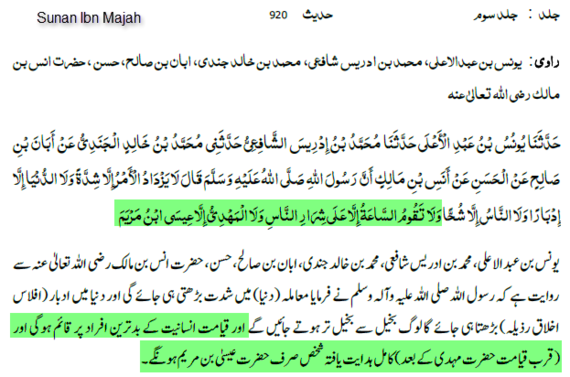 This is clearly talking about help for Imam Mahdi and by the way was Mirza Sahib was from Ahl-e-Bait ?, in fact he could never make up his mind who does he belong too, Mogul, China, Turk, Persia, Majoon Murakab and what not. 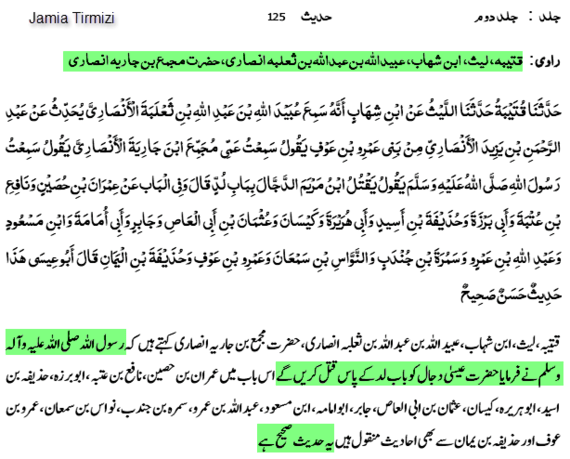 Did in the times of Mirza Sahib Ummah was happy as it was never been happy before ? In fact after his coming there have been World war 1 and 2 and drouths and all such, this itself is clear indication of him being imposter. 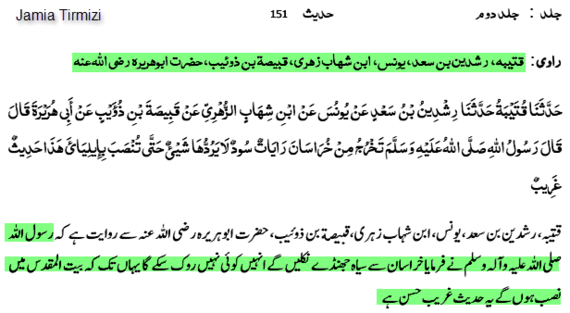 Mirza after declaring himself Mahdi and Isa as one, lived to be 66 years old (I proved that in my other post Nishan-i-Asmanee), but here it’s clearly mentioned that Mahdi is going to live not more than 9 years after His emergence. 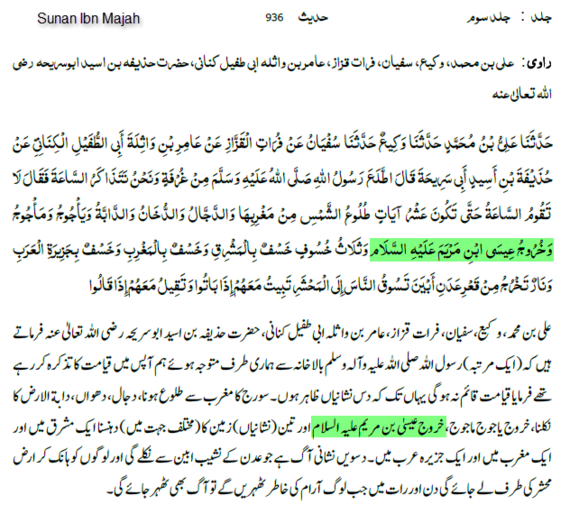 Also here it clearly states that Mahdi will distribute wealth without limit, did Mirza Sahib did the same ? In fact he took what all he could from people and people still paying in terms of chanda to support his family now. Again talking about army carrying black banners coming to join as army for Mahdi. 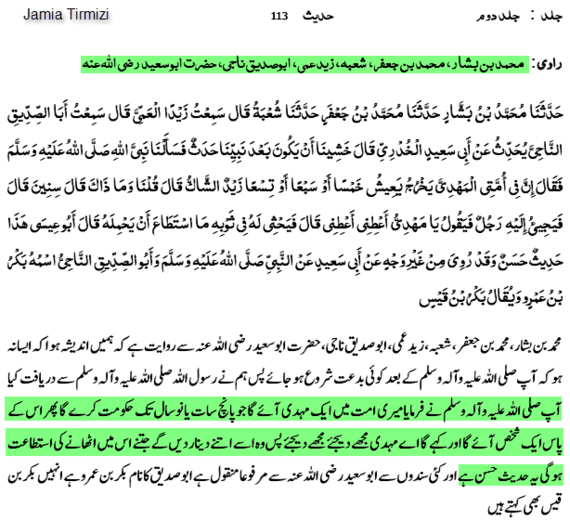 Did Mirza Sahib had such support or army ? 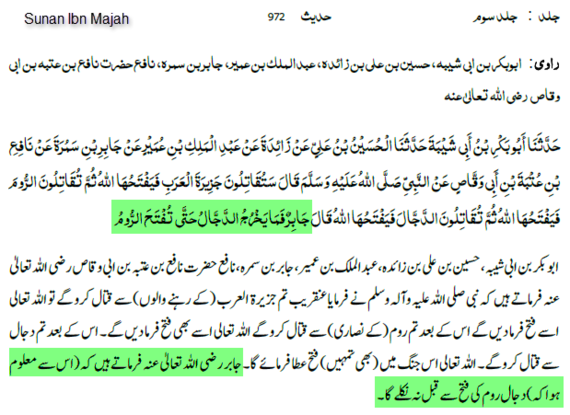 Mahdi is from the Ahl-e-Bait. 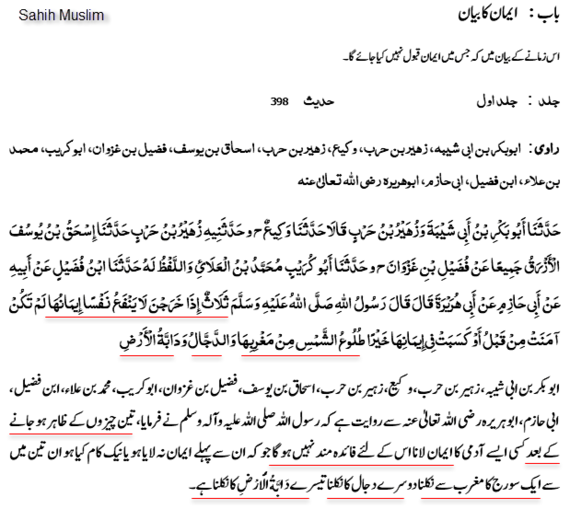 Mahdi is descendent of Prophet Mohd (PBUH) daughter Fatima (RA). 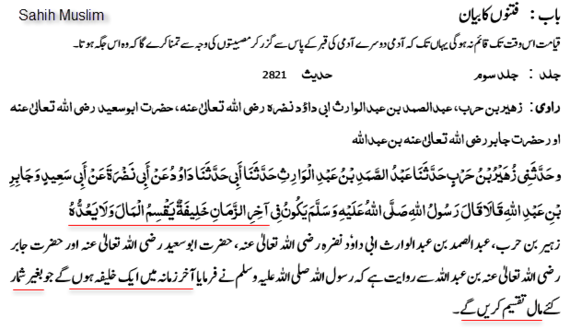 Was Mirza Sahib descendent of Fatime (RA), in fact he denies this fact very clearly in his writing that he is not the same Mahdi which is from Fatima (RA). 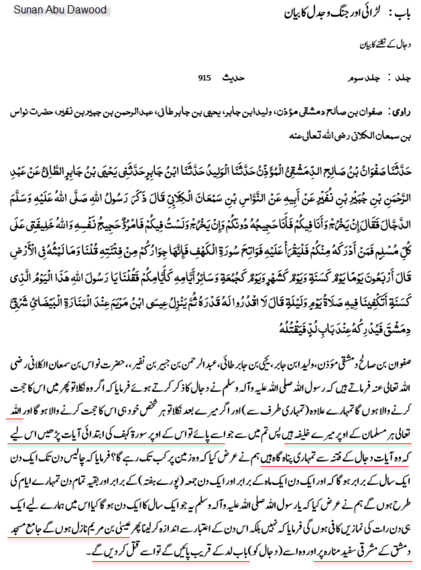 Now one can make his own mind how Mirza Sahib lied so openly and I am truly amazed how Qadiaies follow this imposter blindly. Looking at Qadianies one really understand the meaning whose hearts are sealed due to their persistence on kufar by ALLAH, that no matter how clear cut proof one present they are not willing to accept and see it. It is narrated from Abdullah bin Harith bin jaz Az-zabidi that the Messenger of Allah P.B.U.H said: People will come from the east, paving the way for Mehdi , meaning for his rule. 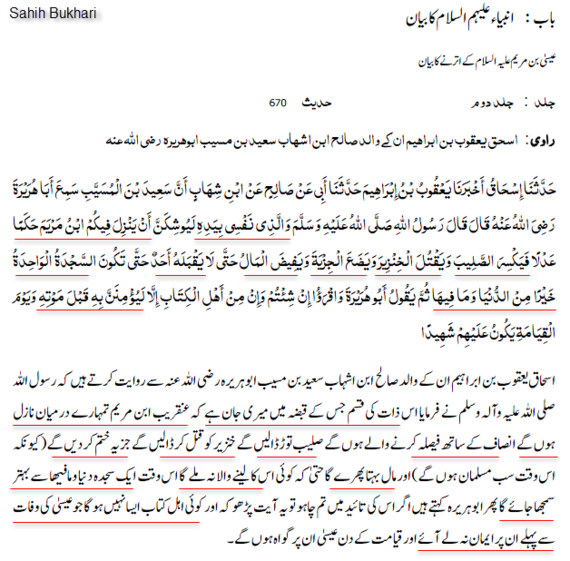 Did Qadianies have any place in world Government ? 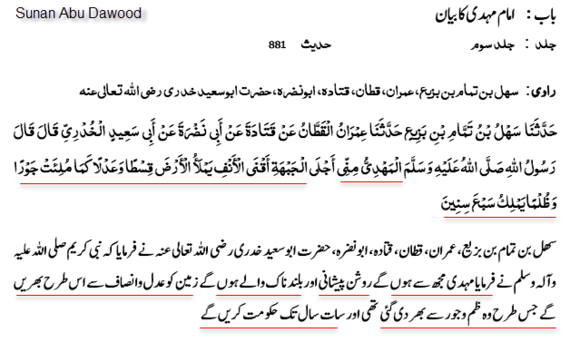 and did anyone from East came to make Mirza Sahib government establish ? In fact British came from west to establish Mirza Sahib completely opposite and all his life he was servant to British government and now their so called khulafas are living as servant under British rules, their real master, is this not enough for one to realize that Mirza Sahib was an imposter. 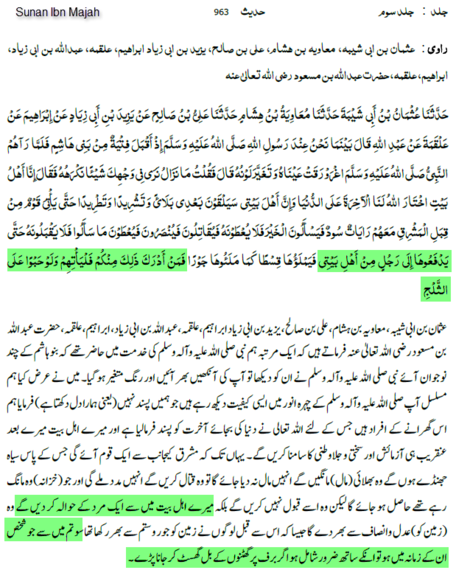 Now Mirza Sahib says dajal is missionaries, they are the ulamas, they are group and what all not. 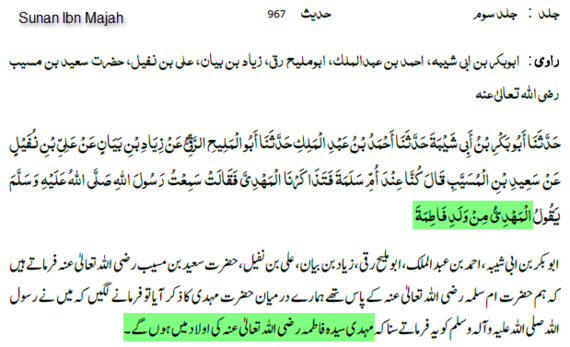 Here the understanding of the companion is very clear that dajal is a man and not some group or nation or what not. After emergence of Imam Mahdi and the fights the final events related to descend of Isa (AS) and Him killing dajal will happen within 7 months. That mean Imam Mahdi will emerge first and during his last years out of 7 or 9, dajal will emerge and then finally Isa (AS) will descend. So that show time difference, which indicate two personalities not one in all like Mirza Sahib pretended to be Mahdi, Isa, Mohd, Krishna and what all not. 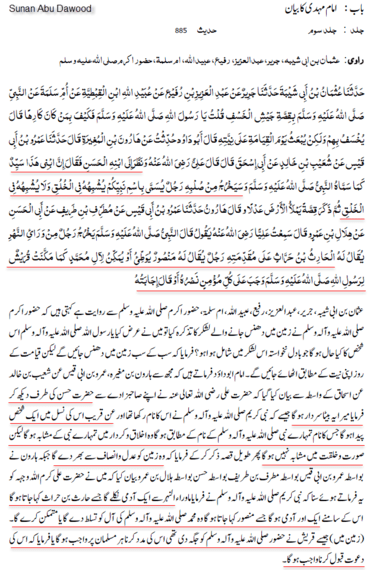 I hope some Qadiani who is really looking for the truth, read all this and think over and realize that he/she is been duped. 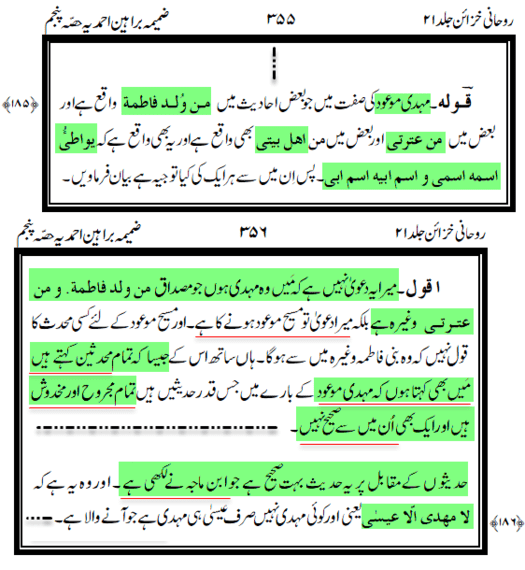 Hadith of Imam Mahdi and Isa (AS) are so many and authentic and are present in Saha-Sita books. 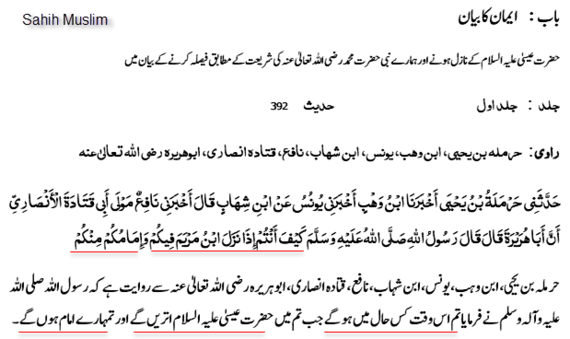 Which indicates that they are not fabricated, and are Mutawatir (meaning being recorded from many Sahabas) and Mirza Sahib says that there is no Sahih Hadith, that shows his knowledge and understanding, which does reflects in his followers and the saying do come true, fruits are known from it’s tree. Here are the Hadiths on the same subject from other books. 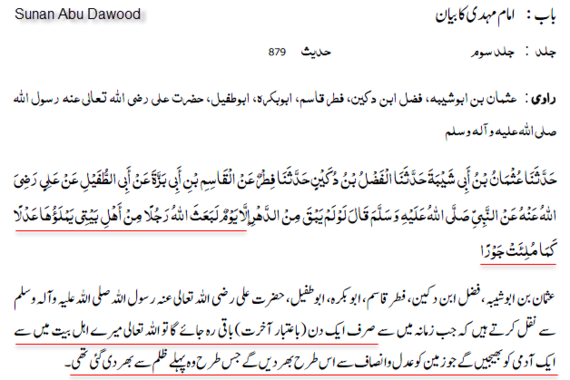 Hadiths from Sunan Abu Dawood. The Prophet (peace_be_upon_him) said: If only one day of this world remained. Allah would lengthen that day (according to the version of Za’idah), till He raised up in it a man who belongs to me or to my family whose father’s name is the same as my father’s, who will fill the earth with equity and justice as it has been filled with oppression and tyranny (according to the version of Fitr). Sufyan’s version says: The world will not pass away before the Arabs are ruled by a man of my family whose name will be the same as mine. 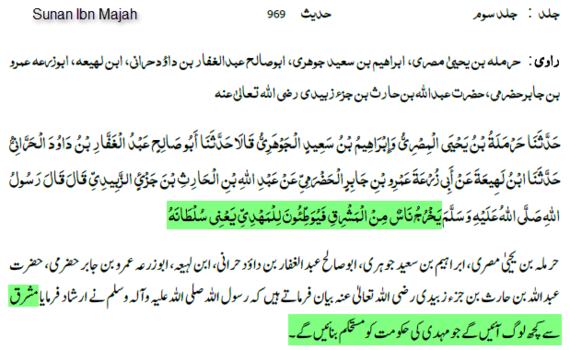 Was Mirza Sahib name was on Prophet Mohd (PBUH) name and was his father name was on the name of Prophet Mohd (PBUH) for him to be Mahdi ? 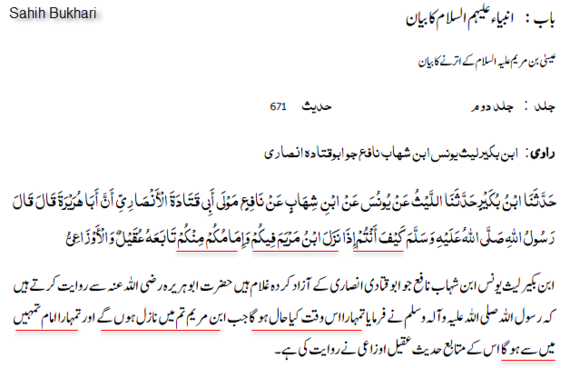 And did Mirza Sahib filled the earth with peace and justice as it is filled with injustice and tyranny ? And did he ruled over Arabs as their leader ? In fact ALLAH even did not let him come and visit Holy Masjids. The Prophet (peace_be_upon_him) said: If only one day of this time (world) remained, Allah would raise up a man from my family who would fill this earth with justice as it has been filled with oppression. Earth is till now not filled with justice, in fact after Mirza Sahib world war erupted, corruption increased and all such. The Prophet (peace_be_upon_him) said: The Mahdi will be of my family, of the descendants of Fatimah. Abdullah ibn Ja’far said: I heard AbulMalih praising Ali ibn Nufayl and describing his good qualities. 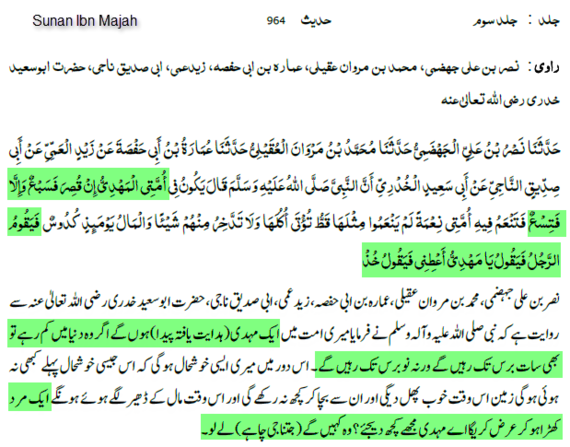 Same as Ibn Majah that Mahdi will be from the lineage of Fatima (RA). The Prophet (peace_be_upon_him) said: The Mahdi will be of my stock, and will have a broad forehead a prominent nose. He will fill the earth will equity and justice as it was filled with oppression and tyranny, and he will rule for seven years. 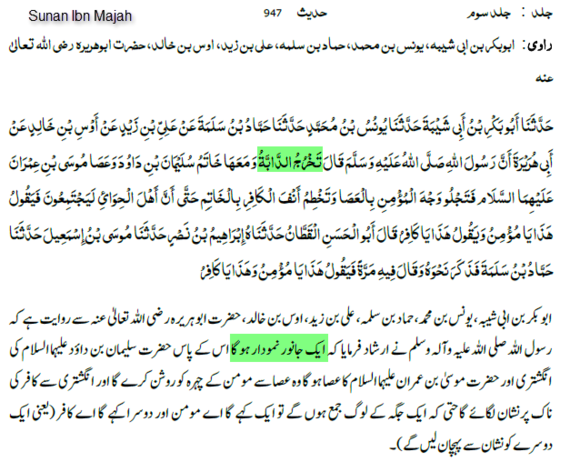 Clearly states that Mahdi will rule for 7 years, did Mirza Sahib ever rule ? In fact even his khulafa ever ruled ? In fact they were first kicked out from Qadian, then from Pakistan and now settled under their original masters British and with status as non-believers in Ummah and as servants under government. The Prophet (peace_be_upon_him) said: Disagreement will occur at the death of a caliph and a man of the people of Medina will come flying forth to Mecca. Some of the people of Mecca will come to him, bring him out against his will and swear allegiance to him between the Corner and the Maqam. An expeditionary force will then be sent against him from Syria but will be swallowed up in the desert between Mecca and Medina. When the people see that, the eminent saints of Syria and the best people of Iraq will come to him and swear allegiance to him between the Corner and the Maqam. Then there will arise a man of Quraysh whose maternal uncles belong to Kalb and send against them an expeditionary force which will be overcome by them, and that is the expedition of Kalb. Disappointed will be the one who does not receive the booty of Kalb. He will divide the property, and will govern the people by the Sunnah of their Prophet (peace_be_upon_him) and establish Islam on Earth. He will remain seven years, then die, and the Muslims will pray over him. States clear that in the life time of Mahdi Islam would spread all over the world. AbuIshaq told that Ali looked at his son al-Hasan and said: This son of mine is a sayyid (chief) as named by the Prophet (peace_be_upon_him), and from his loins will come forth a man who will be called by the name of your Prophet (peace_be_upon_him) and resemble him in conduct but not in appearance. He then mentioned the story about his filling the earth with justice. The Prophet (peace_be_upon_him) said: A man called al-Harith ibn Harrath will come forth from Ma Wara an-Nahr. His army will be led by a man called Mansur who will establish or consolidate things for Muhammad’s family as Quraysh consolidated them for the Apostle of Allah (peace_be_upon_him). Every believer must help him, or he said: respond to his sermons. 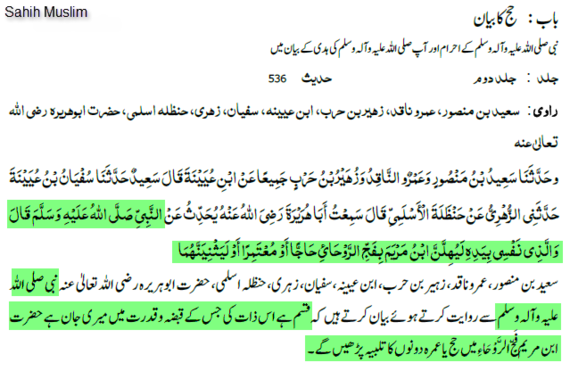 Here it clearly states that there will be a person name Hariss and in front of him Mansoor who will aide the family of Mahdi as did Quresh for Prophet Mohd (PBUH) and in Mirza Sahib writings he claimed these titles too that he is Hariss and Mansoor by doing interpretation. The Prophet (peace_be_upon_him) said: The flourishing state of Jerusalem will be when Yathrib is in ruins, the ruined state of Yathrib will be when the great war comes, the outbreak of the great war will be at the conquest of Constantinople and the conquest of Constantinople when the Dajjal (Antichrist) comes forth. He (the Prophet) struck his thigh or his shoulder with his hand and said: This is as true as you are here or as you are sitting (meaning Mu’adh ibn Jabal). Here Prophet Mohd (PBUH) states these events will happen for sure as for surely you are sitting in front of me. 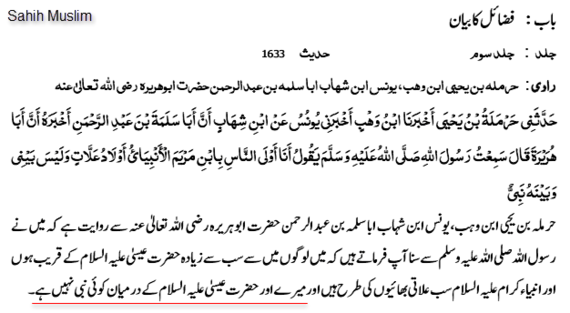 It clearly states that Isa (AS) will descend on the white Minarat and Mirza Sahib collected chanda to build that Minarat, which in fact completed after his death. 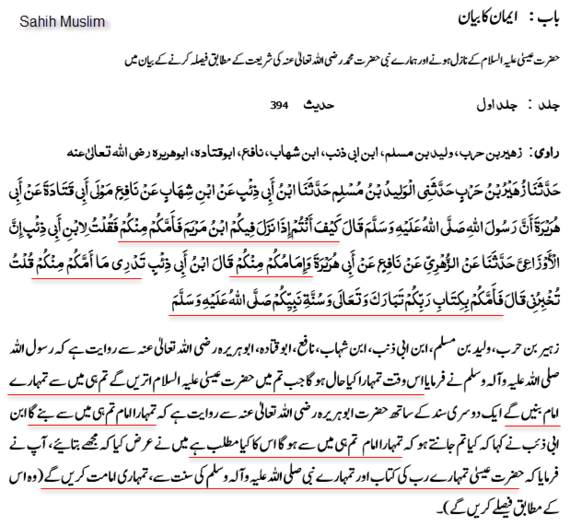 Same subject of Mahdi being from the Ahl-e-Bait and name as being Prophet Mohd (PBUH) name will rule the Arabs. 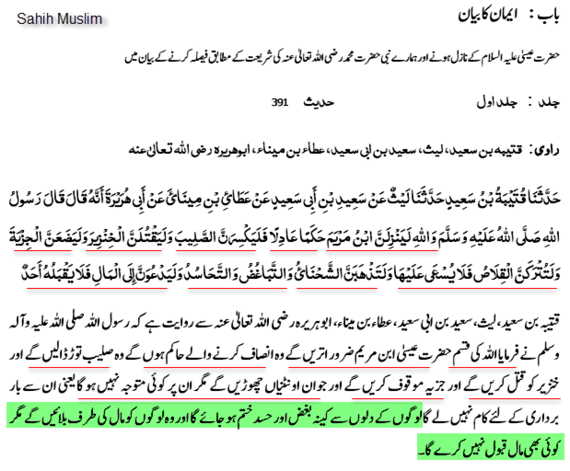 Mirza Sahib had none of these signs. Sayyidina Abdullah (RA) reported from the Prophet (SAW) that he said, “A man of my house, his name being as my name, will follow (to rule over the world). 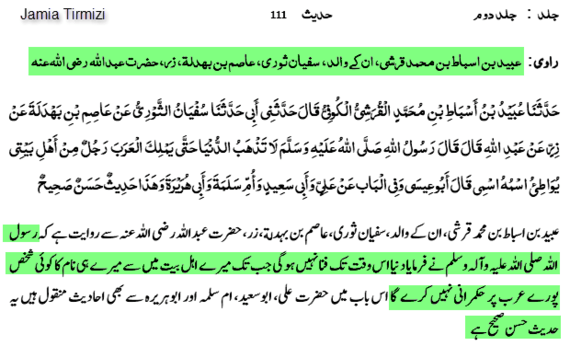 Here again talking about Mahdi being the ruler and Mirza Sahib was never a ruler of any kind, maybe except ruler of collecting chanda. Same theme ruler for 7 or 9 years and will distribute wealth without counting. 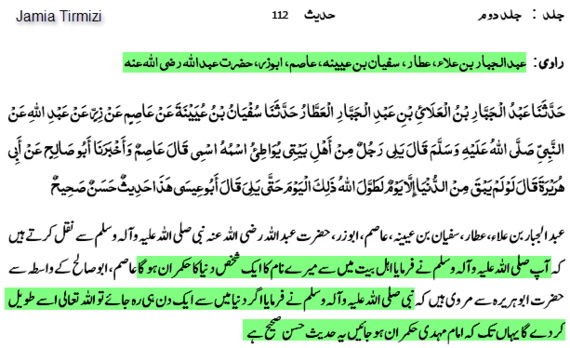 Same theme again that Isa (AS) will also distribute wealth and that in His time no one will accept anymore wealth. 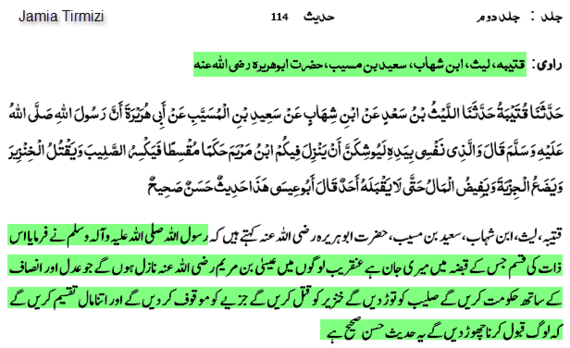 Again theme is the same that dajal is a person who will be killed by Isa (AS), dajal is not christian missionaries, or ulmas or group or what not Mirza Sahib thought off. 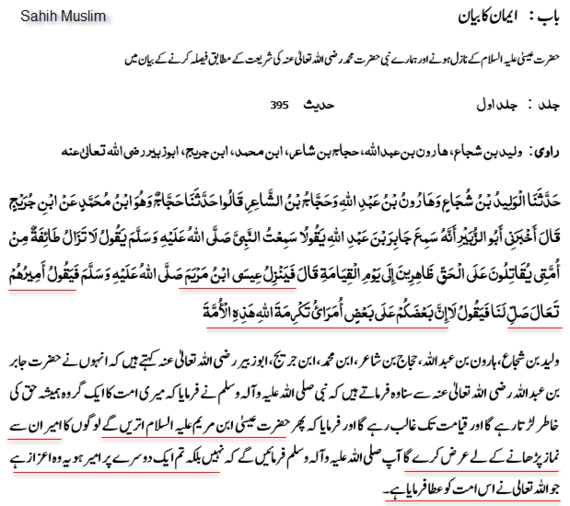 Sayyidina Abu Huraira (RA) reported that Allah’s Messenger (SAW) said, “There will emerge from Khurasan black flags. No one will be able to check them till they are posted at Eeliya.” (which is Baytal Maqdas). Same theme about army with black banners. 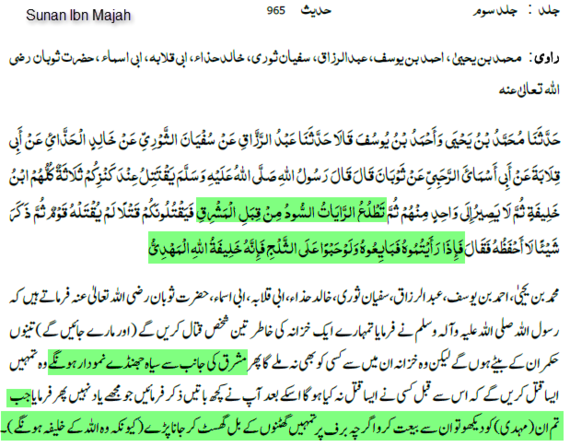 Same theme Isa (AS) will distribute wealth and that no one at the end will take it. Here it clearly states that when Isa (AS) will descend, there will be Imam Mahdi among us and after His death, Isa (AS) will be the Imam for Muslims. 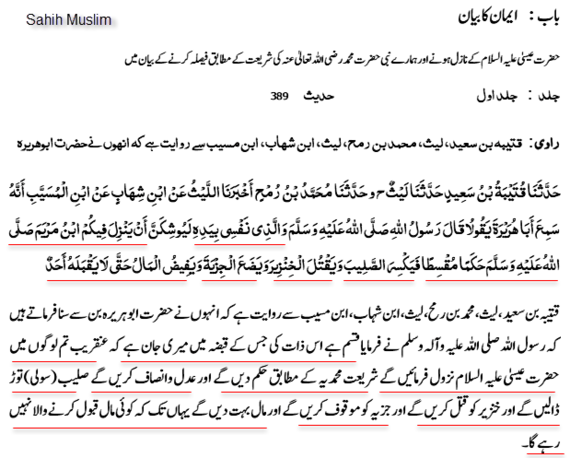 This show again two people not one in two as Mirza Sahib was many in one, Mahdi, Isa, Krishan and what not. Abu Huraira reported that the Messenger of Allah (may peace be upon him) said: By Him in Whose hand is my life, the son of Mary (may peace be upon him) will soon descend among you as a just judge. He will break crosses, kill swine and abolish Jizya and the wealth will pour forth to such an extent that no one will accept it. 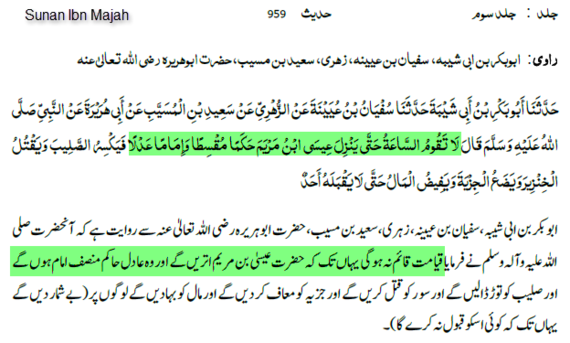 It is narrated on the authority of Abu Huraira that the Messenger or Allah (may peace be upon him) observed: I swear by Allah that the son of Mary will certainly descend as a just judge and he would definitely break the cross, and kill swine and abolish Jizya and would leave the young she-camel and no one would endeavour to. Spite, mutual hatred and jealousy against one another will certainly disappear and when he summons people to accept wealth, not even one would do so. Here one more interesting fact, that there will be no animosity among people, and at the present time is this true ? In fact it’s opposite each one is looking for only his/her self. It is narrated on the authority of Abu Huraira that the Messenger of Allah (may peace be upon him) observed: What will be your state when the son of Mary descends amongst you and there will be an imam amongst you? 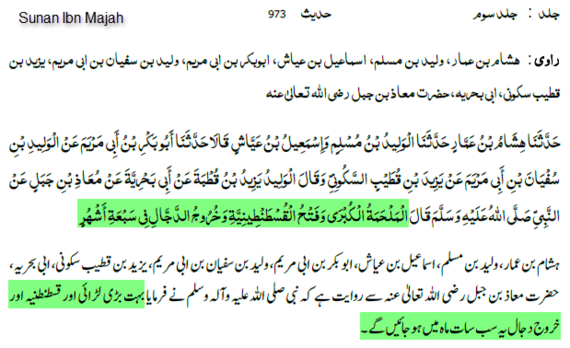 Statement from this Hadith that Mirza Sahib quote and miss use, in fact after reading from all the previous Hadiths, this simply mean that what would be the condition for the Muslims like joy and happiness when they will see Isa (AS) among themselves and lead them in the fight against dajal and kill him and then rule over Muslims as just ruler. It is narrated on the authority of Abu Huraira that he heard the Messenger of Allah (may peace be upon him) as saying: What would you do when the son of Mary would descend and lead you? It is narrated on the authority of Abu Huraira that the Messenger of Allah (may peace be upon him) observed: What would you do when the son of Mary would descend amongst you and would lead you as one amongst you? Ibn Abi Dhi’b on the authority of Abu Huraira narrated: Your leader amongst you. Ibn Abi Dhi’b said: Do you know what the words:” He would lead as one amongst you” mean? I said: Explain these to me. He said: He would lead you according to the Book of your: Lord (hallowed be He and most exalted) and the Sunnah of your Apostle (may peace be upon him). Jabir b. ‘Abdullah reported: I heard the Messenger of Allah (may peace be upon him) say: A section of my people will not cease fighting for the Truth and will prevail till the Day of Resurrection. He said: Jesus son of Mary would then descend and their (Muslims’) commander would invite him to come and lead them in prayer, but he would say: No, some amongst you are commanders over some (amongst you). This is the honour from Allah for this Ummah. This Ameer is none other than Imam Mahdi. 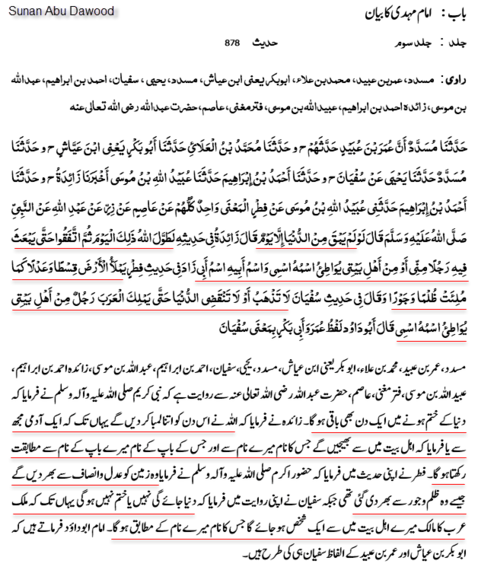 It is narrated on the authority of Abu Huraira that the Messenger of Allah (may peace be upon him) observed: When three things appear faith will not benefit one who has not previously believed or has derived no good from his faith: the rising of the sun in its place of setting, the Dajjal, and the beast of the earth. 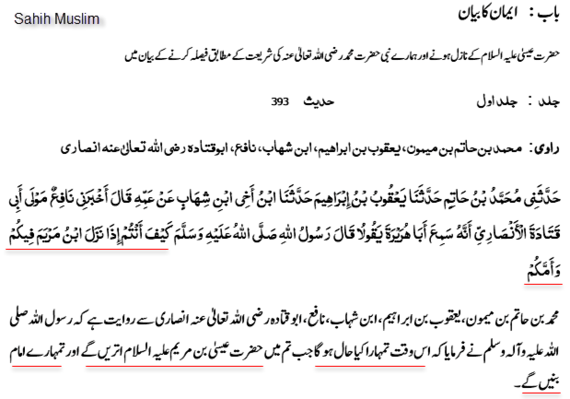 Prophet Mohd (PBUH) clearly states by taking oath on ALLAH name, that Isa (AS) will do Hajj and Umrah. Did Mirza Sahib did these ? Abu Huraira reported Allah’s Messenger (may peace be upon him) as saying: I am most akin to Jesus Christ among the whole of mankind, and all the Prophets are of different mothers but belong to one religion and no Prophet was raised between me and Jesus. Abu Nadra reported:” We were in the company of Jabir b. ‘Abdulldh that he said it may happen that the people of Iraq may not send their qafiz and dirhams (their measures of food stuff and their money). We said: Who would be responsible for it? He said: The non_Arabs would prevent them. He again said: There is the possibility that the people of Syria may not send their dinar and mudd. We said: Who would be responsible for it? He said This prevention would be made by the Romans. He (Jabir b. Abdullab) kept quiet for a while and then reported Allah’s Messenger (may peace be upon him) having said: There would be a caliph in the last (period) of my Ummah who would freely give handfuls of wealth to the people without counting it. I said to Abu Nadra and Abu al-‘Ala: Do you mean ‘Umar b.’Abd al-Aziz? They said: No (he would be Imam Mahdi.). In fact this is true in our times, that Iraq is under siege and as well as Syria (Shamm), this do make one wonder, that is time for the real Imam Mahdi near. Abu Sa’id and Jabir b. Abdullah reported that Allah’s Messenger (may peace be upon him) said: There would be in the last phase of the time a caliph who would distribute wealth but would not count. This Khalifa in the last time is no one but Imam Mahdi. This shows that people will take refuge from dajal in the mountain which is mentioned in a long Hadith, how this would be and people will take refuge on Mountain with Isa (AS) after Yajooj and Majooj are let out. 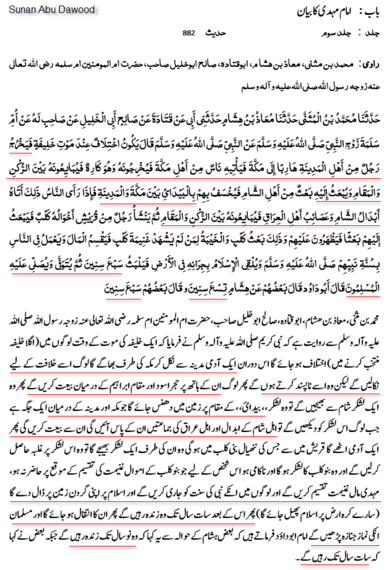 After going through all the above mentioned Hadiths, can anyone with true and open heart believe that Mirza Sahib was for real ?